Have You Heard Of New Enough? If you are looking to buy some new gear you can’t go far wrong than taking a look at the New Enough website. These guys are offering deals which really cant be missed out on! Established in 1998, New Enough started out life as a motorcycle leather exchange business and has quickly grown into two 20,000 square feet of climate controlled warehouse space at Shallowater Texas. The almost family run company now focuses on selling ‘current year’ closeout gear sourced from distributors. By being able to buy these closeout, or end of range lines as we in the UK call them, in bulk at heavily discounted prices they are able to pass these savings on to their customers. 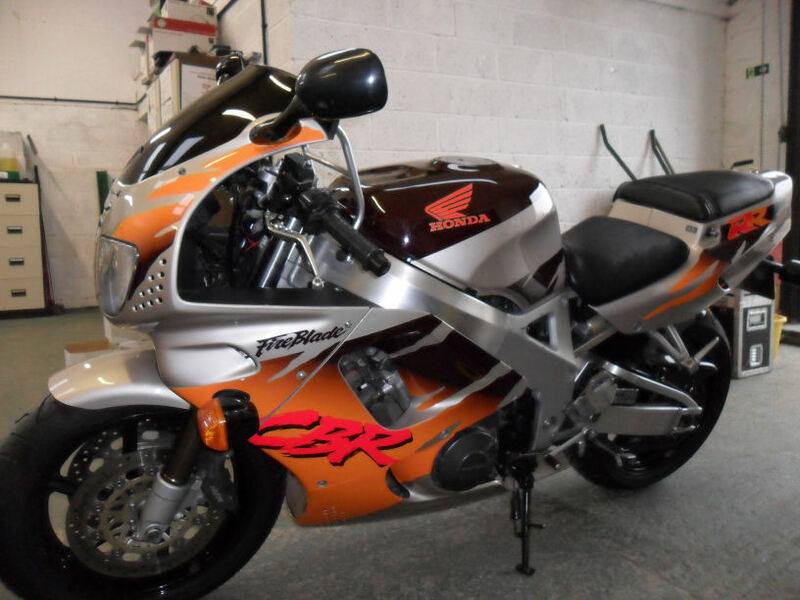 They stock a full range of motorcycle gear including jackets, trousers, gloves, boots and helmets for both men and women, plus a range of children’s clothes and helmets as well as parts and accessories. They actually try all the gear themselves and write a review of what they think about it, so you won’t find the normal ‘catalogue type reviews’ found on other sites. It’s a personal opinion which I think is so much better. You can find their latest BEST DEALS here. And their own CLOSEOUT SECTION where there is many a brilliant bargain to be had. Here are a few of the great money saving deals they have as of 11th Feb 2009. Obviously the range will change regularly as new stock comes in and older stock is sold out. If you are looking at buying something then make sure to check your size is available, especially in their own closeout section and don’t forget to check the shipping costs too. Click on the links to be taken direct to their website.. 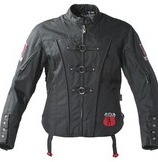 The last item in my mini selection is the Power Trip Vamp Women’s Textile Jacket. I fell in love with this the second I saw it! I just love it for it’s individuality! That kind of price just made me fall in love with this jacket even more!! Go on, have a nose round their site, they have some terrific not-to-be-missed deals on there! Daytona Ladystar (M-Star) Boots – Help For The Vertically Challenged Motorcyclist! Are you riding round on a motorbike wishing you could get just a tiny bit more of your foot than your tip toes on the ground when you come to a halt? Aside from buying a short bike in the first place what other options do you have out there to help? Shave some of the foam out of the seat. Soften the suspension a bit so that the bike sinks down a little more when your bum is on it. Physically lowering the bike with a height adjustment kit (see the posts in the Ride Height Adjustment Category). Unfortunately both of the last two options will affect the handling in one way or another, even if only by a little bit, and you will have to do it to every ‘tall’ motorcycle that you may buy in the future! What if I was to tell you that there is another option, which does not involve any kind of adjustment to your bike? If anything it adjusts you!! And that is to treat yourself to a pair of Daytona Ladystar Boots. Wearing a pair of these may just make all the difference between a costly tip-over and a good save if your bike starts to unexpectedly go over with you on it. And the best part of it is that they look just like a regular pair of boots and so no one will know you need help to be able to touch the floor more on your bike. The boots start at a European size 35 and go through to a size 43. They are only available in black, no bright colours (or pink in the case of the guys sizes) on these babies. A comfortable fit is achieved with both zip and Velcro closures on the legs and with Gore-Tex ™ waterproofing your feet will stay dry as well as warm. The heels and ankles are armored and will provide protections from abrasion and impact. They also have a reflective patch on the heels, which may help the inattentive drivers around you see that you are there. And for when it rains they have a built in shower proof edging at the top of the boot. Now the only complaint I can honestly see with these boots is the price. At about the £250 mark they aren’t the cheapest pair of motorcycle boots out there on the market BUT if buying a pair means you can ride the bike of your dreams then surely they are worth it. Plus.. You may well find that the cost of the boots is less than it would be to have your bike adjusted to fit you! Plus.. As and when you change bikes they go with you! Ok.. I know I am really extolling their virtues but they are quite simply a brilliant boot and if you are tired of having to replace bent levers as your bike tips over too easily on you, then maybe, just maybe these are the answer you are looking for. Check your local dealer, or favourite online store, for details about pricing and availability. You may also want to take a look at these posts which have more information about choosing a bike and the kinds of bike girls are riding.